When you're heading out to the barn in frigid winter weather, you'll appreciate the heavy-duty warmth and protection of these men's socks. They're made of a sweat-wicking wool blend, with abrasion-resistant CORDURA® yarn in the heel and toe. Carhartt socks will cover premature failure of any of our products caused by a defect in the original materials or workmanship. My husband is always doing something outdoors and loves these socks for winter wear. I mistakenly ordered these thinking they had a higher wool content than they do. They're OK, but they won't keep your feet warm like wool socks. These socks are so great that I just had to buy more. They keep your feet warm and comfortable. They also make my Carhartt boots more comfortable with their cushioned heel. Love them. I’ve had Carhartt Sox for years ! These fell apart in less then a week. We appreciate your loyalty and are sorry to hear this. Please contact us at 1 800 833 3118 for assistance. Great quality, great fit, great material, working below zero isn’t fun, this particular boot sock kept my feet warm, throughout my whole 16 hour shift. I don’t have work boots, I wear them with very breathable shoes, and it keeps my feet warm! Very warm and comfortable. Only bad thing is they fall down all the time with movement. These socks wear very well. I usually by my husband a couple pairs every year for Christmas. He love them.They keep his feet nice and toasty in our Alaska winters. Thank you for your input. Feel free to contact Customer Service with any questions. We appreciate your input and are sorry to hear you're not 100% satisfied with this sock. Feel free to contact us at 1 800 833 3118 if you need further assistance. These socks are great for deer hunting. They keep your feet very warm! I had a hard time finding a brand that actually did what was advertised but I am 100% pleased! We are sorry to hear this. Please contact us at 1 800 833 3118 if you need further assistance. These are very thick and very comfortable. Durability should be great, but too early to tell. Made in the USA. Highly recommended. Soft foot bed, warm feet. Brought these for construction. 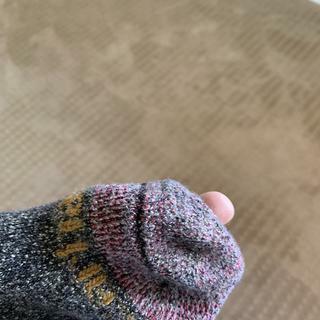 These socks do make your feets and toes warmer so it does not distract you from working. Some of the warmest socks I own, great for cold mornings or days. They are the best socks out there they keep my feet so warm. Very disappointed with the poor quality and durability of these socks. Holes in less than 2 months owning them! I got a pack of these socks for my husband for Christmas and although they look and feel great, the quality has been extremely disapointing for what we have come to expect from the Carhartt brand. The socks have holes in the soles of the feet under the pad of the foot after less than two months of regular wear. My husband has worn each pair less than ten times.....and now has to throw the ones with holes in them out. We loved the Carhartt brand and he uses your products for his outdoor work and play and can't believe the poor quality of these socks. Definitely not worth the money paid for them. These are the best boot socks I have ever had, and my favorite pairs to wear, hands down. Very warm and comfortable. As well as very durable. What I really like is they stay up all the way. No having to pull them up even once, and I am on my feet walking all day. Ordered for grandson starting new job. Just what needed for these cold days. Bought these for my dad for the cold and rainy days at work. Super warm and insulated worth the money! Fantastic socks they really hold insulation around my foot and calves. Not too compressed but enough to feel warm around my feet. Perfect for my waterproof boots. We have contacted the customer directly. Very nice socks. They are long enough to wear under boots . Gift for Son-in-Law..Works for Police Dept. in Park City Utah. Loves his socks! Best heavy duty sock out there. Very comfortable. Great wicking ability. Good for all day cutting wood or sitting in a treestand. It's had to find socks to go over my calves these are great and they keep my feet warm. tough,don't smell,pretty warm,comfortable. used them on and off for a year washed them a few times and still look and feel brand new,recommend them. These socks saved my feet through a bitter cold elk season about a year ago. Now I wont ever go hunting without em. When they arnt hunting with me they are keeping the girlfriends feet toasty warm every night haha. These socks are great! They make my boots even more comfortable than before, keep my feet warm, but at the same time keep them dry. And for what it's worth, they even look good too. I've been used these socks for ice climbing for the 2007-2008 season and they where awsome. Up here in quebec ice climbing means getting 's cold, wet, hot, damp, cold and colder and my toes never knew the difference. These socks out perform and "outdoorsy" brand sock for the third of the price. These socks are great for both boots and sneakers. I wear them often, even in the summer, with my work boots. They are sewn so as not to bunch up at the ankle. Also, they are extra-thick at the heel. I have yet to have a pair even begin to show the slightest signs of wearing through. They're like having the durability of burlap with the softness of cotton. One thing I'll mention, though, is that they feel a little tight if you have wide feet like I do (12 6E). Also, when I take them off at the end of the day, my legs become need some good scratching because of the acrylic fibers. That could just be me, though. How do they rate thermal socks? BEST ANSWER: We do not temperature rate our garments because everyone has a different threshold for what they consider to be warm. Very very warm! Fits perfect! BEST ANSWER: This style is sold as a single pair. BEST ANSWER: THEY GO HALFWAY UP THE LEG AND THEY ARE REALLY WARM! I BOUGHT 4 PAIR AFTER WEARING MY FIRST PAIR. My son wears 11.5 shoe. Should I get him L or XL? BEST ANSWER: A size Large will fit shoe sizes 6-12 and XL will fit a shoe size 11-15. I WEAR A SIZE 10 BOOT SO, MEDIUM IN THIS SOCK OR LARGE? BOTH SHOW TO COVER THAT SIZE. BEST ANSWER: Large for sure, I'm 10.5 in boots and after a wash Carhartt's large socks fit perfect...comfortably tight as in no loose material, stay up and in place during a grueling work day. Check out the A111, think it's called the original Carhartt Arctic boot sock, for the best winter work sock out there...it's made of mostly wool which is not only warm but it's also very breathable, moisture wicking, quick drying, etc. Even if you sweat in these socks you won't even notice it, plus at the end of the day just hang em up and put em back on in the morning...they won't even stink till the end of the week! Large. My son wears a 10 and I bought him the large. They fit him well and he loves these socks. I wear a size 9 CARHARRT work boots, what size should I get these in? BEST ANSWER: We would recommend a size Medium. I have very wide calves. Is there any chance these would fit over them? BEST ANSWER: I wouldn't worry about it, my calves are average to above average size and all my Carhartt socks have plenty of room in that area. Plus these are mostly synthetic and natural wool, which has plenty of stretch. Just be careful washing, cold water, gentle cycle, dry on low low heat to prevent any shrinkage. i wear a size 13 shoe what size sock should i get? BEST ANSWER: You would need an XL. do this shrink on a gas dryer? BEST ANSWER: As long as you follow the care instructions, they should not shrink more than 2-4% over the life of the garment: Machine wash cold with like colors. Do not beach. Tumble dry low. Remove Promptly. Do not iron. Do not dry clean. BEST ANSWER: This sock is a blend. We do not offer any 100% cotton socks. I'm not positive but I think it has some wool in it also. They are very warm. What is the wool percentage? Why don't you list the wool content on the description as people do want to know this, as this is what makes the sock warm? We will share your suggestion with our Web Design Team. Are they over the calf? BEST ANSWER: Not all the way for me. It goes about 11" up from the bottom of ball of my foot. They go over the top of the boats. Enter an answer to this question. My man has huge calves and these sock go over them comfortably. Yes, and they stay there. How many to a pack? BEST ANSWER: This style is offered by individual pair. what does a111 mean on the original arctic wool sock ? BEST ANSWER: A111 is the style number for the item. My husband works construction. In the winter when it's cold and wet, will these keep his feet dry as well as warm? BEST ANSWER: This is a great cold-weather sock. It is fully cushioned for warmth and protection against the elements. It has FastDry technology to wick sweat away from the body... however, it is not waterproof. I personally swear by their product it out last and performs any other sock for the amount spent but you have to have the right combo to get the right affect.... The boot with the Marino sock is a good combo. BEST ANSWER: This product is made in the USA.